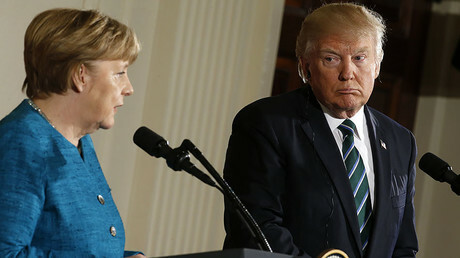 Germany does not owe the US and NATO “vast sums of money,” as the alliance has no “debt account,” the German defense minister said regarding Donald Trump’s claims voiced on his Twitter after a tight-lipped meeting with Angela Merkel. “There is no debt account at NATO,” German Defense Minister Ursula von der Leyen said in a statement. According to von der Leyen, it is wrong to link Germany’s defense expenditure only to NATO, as its military spending also goes to UN peacekeeping missions, European-run operations, as well as Berlin’s contribution to the fight against Islamic State (IS, formerly ISIS/ISIL). “All we want is a fair burden-sharing, and this requires a modern security concept which will include a modern NATO, but also a European defense union as well as investments into the United Nations,” the minister added. This comes after German Chancellor Angela Merkel’s first face-to-face meeting with US President Donald Trump at the White House. Though both leaders opted for a conciliatory tone, differences in their policy priorities and style apparently haunted the discussions. NATO members are encouraged to spend at least two percent of their gross domestic product (GDP) on defense, but only a few states in the 28-member bloc are able to meet the requirement. At the 2014 Wales summit, some countries argued it is unrealistic to reach the two-percent target by 2024, as expenditure is largely based on each state’s economic might. On Saturday, Ivo Daalder, the US permanent representative to NATO from 2009 to 2013, responded to Trump in a series of tweets. “Sorry, Mr President, that’s not how NATO works,” he wrote. “The US decides for itself how much it contributes to defending NATO. This is not a financial transaction, where NATO countries pay the US to defend them. It is part of our treaty commitment. 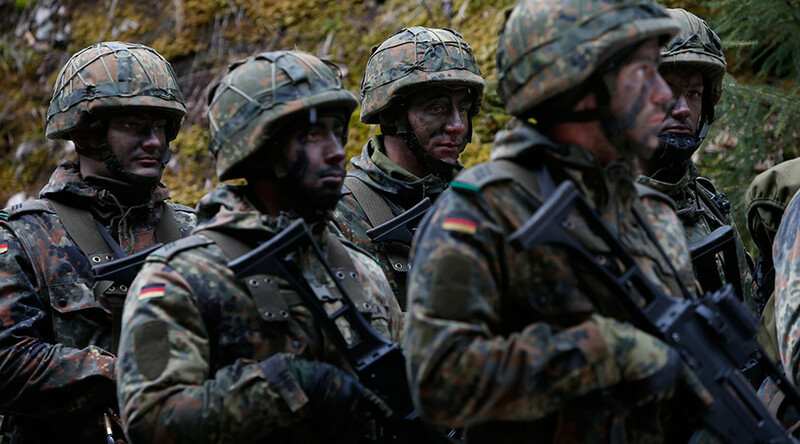 “All NATO countries, including Germany, have committed to spend 2 percent of GDP on defense by 2024. So far five of 28 NATO countries do. Those who currently don’t spend 2 percent of their GDP on defense are now increasing their defense budgets,” he said. 3/ All NATO countries, including Germany, have committed to spend 2% of GDP on defense by 2024. So far 5 of 28 NATO countries do. According to a 2016 report of the Stockholm International Peace Research Institute (SIPRI), Germany placed ninth in the list of global military powers, having spent $39.4 billion on defense in 2015. The paper noted that Europe's three top spenders – the UK, France, and Germany – had all announced increases in their military expenditures for the coming years.